Located in the Indiana region, Fort Wayne is a town and its area, population and various key information is listed below. For all your administrative procedures, you can go to the city hall Fort Wayne at the address and times indicated on this page or contact the town hall’s reception by phone or by email depending on your preference or the information available. Fort Wayne satellite image: Fort Wayne town from the sky! Within driving distance of Allen County Historical Museum and other area attractions, this hotel located in Fort Wayne, Indiana offers an indoor pool and a free hot breakfast daily. In the heart of central Fort Wayne and connected to the Grand Wayne Convention Center, this hotel is close to popular attractions and offers many modern and thoughtful amenities. The Fort Wayne Museum of Art is 5 miles from this hotel. It offers guests free Wi-Fi and provides a microwave and fridge in every room. 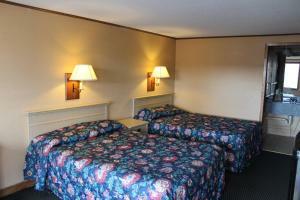 Cable TV and a seating area are included in the traditionally decorated rooms at Hometown Inn Fort Wayne. Located opposite Glenbrook Square Mall, this Fort Wayne hotel offers a daily continental breakfast. It features a fitness room, a business centre and rooms with free Wi-Fi. A TV and a work desk are featured in each room at Howard Johnson hotel. Conveniently located in northwest Fort Wayne the Econo Lodge is near Spiece Fieldhouse and Glenbrook Shopping Center. This hotel also offers easy access to Canlan Ice Sport Arena and Science Central Museum.